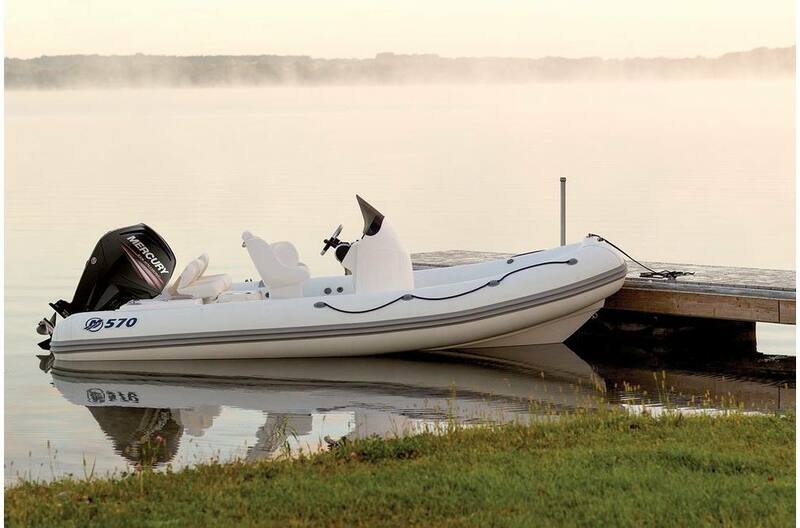 The decked-out inflatable. 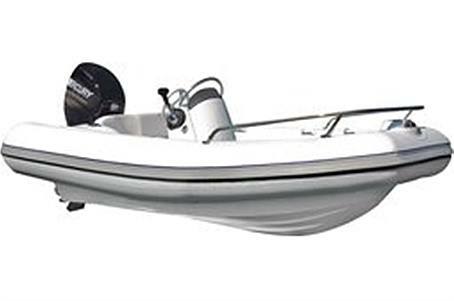 Bow rails, coolers, integral fuel tank, the total package, right down to the Mercury FourStroke engine. Dressed to Impress: A list of features and add-on options like none its class. Get where you're going. Look good doing it. 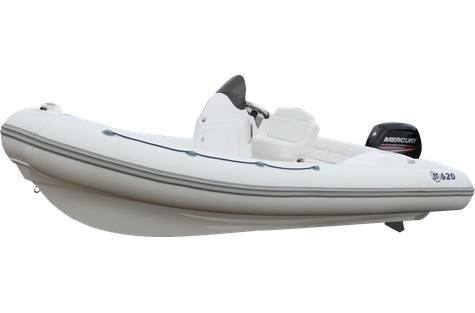 The Whole Package: Perfect for a day out with the family or getting to shore for a dinner on the sand. Built to impress from bow to stern. 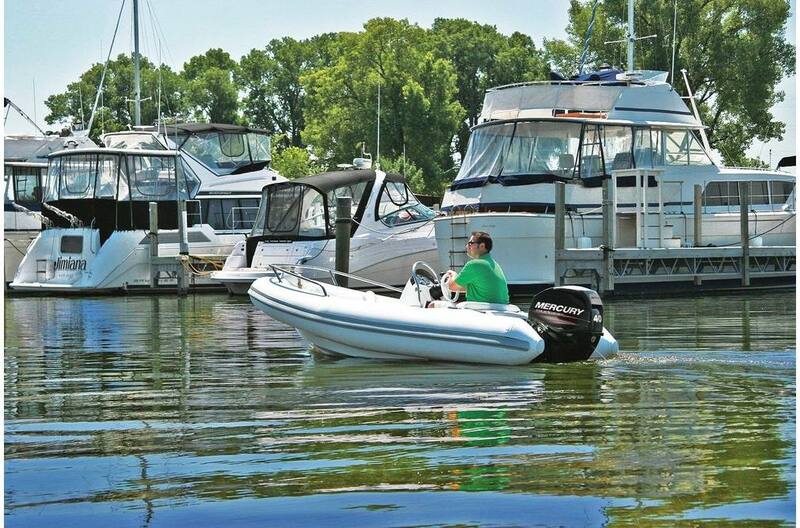 Trick It Out: A boatload of standard features makes this inflatable anything but standard. Integral fuel tank. Premium throttle and shift cables. Non-slip deck. Stainless steel bow rail. 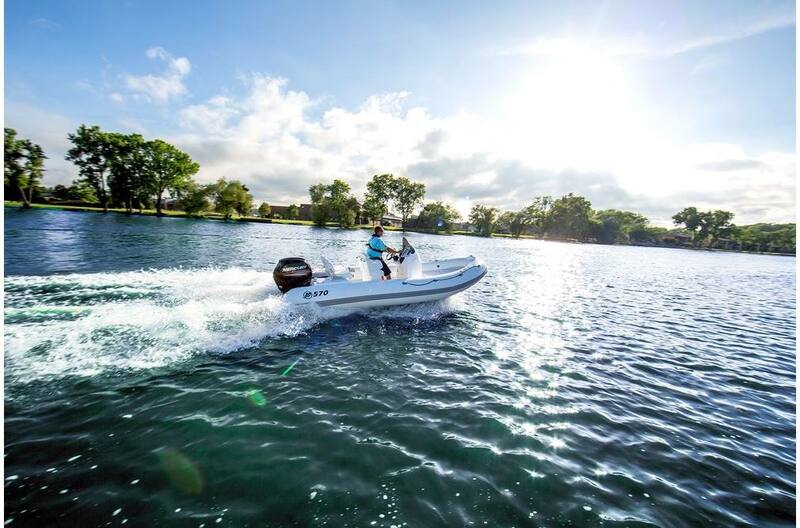 Enough bells and whistles to make any other boater sea-green with envy.